Romhacking.net - Review - Barely better than Rockman 4 EX. "Barely" being the key word here. 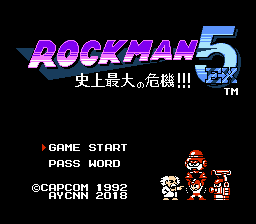 Rockman 5 EX: Shijou Saidai no Kiki!!! 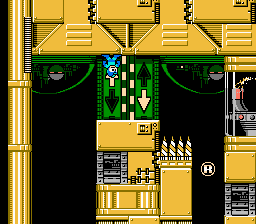 This is a complete level hack of Rockman 5. The boss behaviors are changed and also their weaknesses. Notable change: Super Arrow energy does not drain when riding. 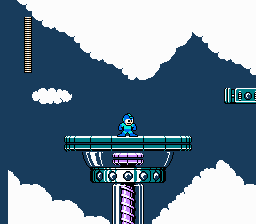 Barely better than Rockman 4 EX. "Barely" being the key word here. E-Tanks are once again too rare. Most bosses move too fast AGAIN (Dark Man #1), attack too frequently (Circring Q9) or both (Gyro Man, Dark Man #3). 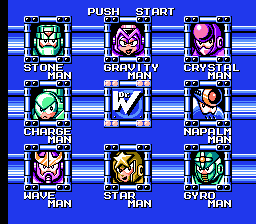 Regular enemies are often badly placed (Apache Joes in Gyro Man stage, Tondealls in Dark Fortress #2) or way too abundant (Rembakuns in Charge Man stage, Rider Joes in Wave Man stage, Pukapellies in most levels). 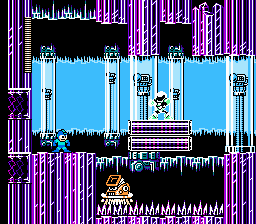 Some platforming sections rely too much on trial & error and frame-perfect jumping (Dark Fortress #2, Gravity Man stage, Gyro Man stage). I ended up using savestates and rewinds every ten seconds because of all these flaws. The only things I’ve enjoyed in this hack are the entirety of Star Man’s level, a few battles (Stone Man, Napalm Man, Big Pets, Wily Press)… …and the goofy Metall cutscene in Dark Fortress #4. Everything else feels rushed and poorly-made… once again. Is it too hard for Japanese hackers to just let a few people test their hacks, and fix most level-design issues before releasing their work on this site?